Easy to use, conserves water and keeps you happy! If you feel like there is never enough time or energy to do regular chores in the kitchen, particularly cleaning up and getting your dishes all washed and dried, then you need to invest on a piece of equipment to help you achieve these goals. A dishwasher is a fine item that is a must-have in every kitchen because it offers numerous benefits to help you conserve your energy during the cleanup process. For instance, you will no longer have to dread the idea of washing a ton of dirty plates piled up on your sink since this powerful machine can do it quickly. In fact, it only takes at least 9 minutes or less to load your dishes and unload them after the machine gets to work. On the other hand, doing it by hand will take several minutes, plus you will end up feeling tired when you are done. When you do the dishes the traditional way, you tend to use up more water as water constantly flows from the tap. As with a dishwasher, small amount of water is used and recycled, which means there is no need to worry about the flow of water being constant. Hence, there is less water used per place-setting with a dishwasher, and this can translate to greater saving on your part. It is also worth noting that ever since the early 1990s, there is only a minimal level of water required when using a dishwashing unit, unlike what is used with manual dishwashing. There are modern models of these machines that come with sophisticated technology, which means water used is heated in the machine instead of the central heating system at home. This means, more energy is saved, as well as water. As you cut down your consumption of water and heating each time you do the dishes using this machine, you are also reducing energy usage all at the same time. 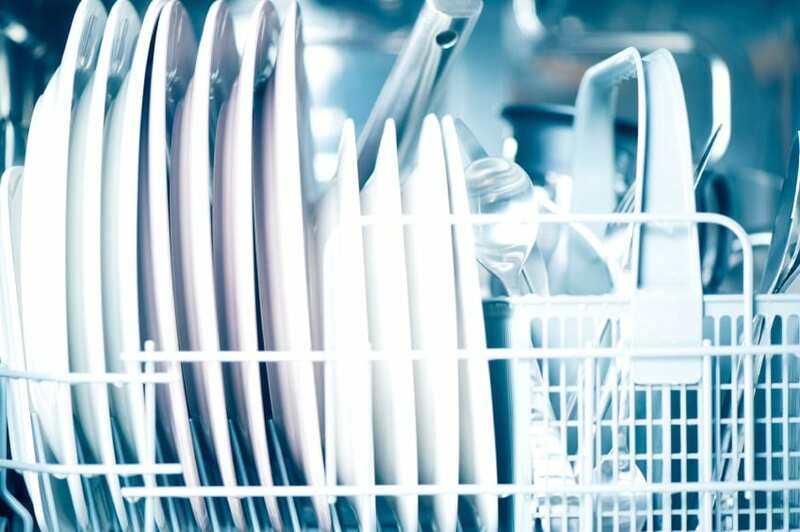 Dishwashers generally use much less energy and water, as compared to the manual means of washing dishes. Considering how electricity bills are constantly on the rise, it helps to use an efficient machine to handle the task of doing dishes while minimizing the energy costs. Aside from that, you can even make sure that your dishes are not only clean, but hygienic, as well. A higher temperature is used in washing the dishes, and it is much higher than what your hands can handle. This, combined with a strong and reliable dishwashing detergent, you can expect the dishes to get much cleaner while protecting harmful germs that usually build up on kitchen towels, dish cloths and sponges. Most importantly, you can just sit back and relax as your dishwashing unit does its job. This is a major benefit when you just came home form work and the last thing you want to do is devote your precious time and energy doing the dishes. All you need is to eat your meals, pop the dishes in the machine, and wait until the cleanup process is done while you watch TV or take a quick nap. Cleanups have never been this esy and convenient, thanks to dishwashers!